The inaugural IASSS conference came to a close on Thursday evening. The first closing speech was given by Prof Khan (Head of surgery, UCT) who gave a brief history of the UCT surgical students association and recounted a very entertaining story about the pioneering heart surgeon, Christiaan Barnard. Tinashe Chandauka (the president of the UCT surgical society) then reflected on the conference. Two words summed up his thoughts: innovation and believing. He believes that the surgical association should be at the forefront of developing innovative solutions for the health problems faced by the developing world, and believes that it can become the place where surgeons from the developed world will seek for new ideas. Amongst the awards won, a prize was given for the winner of the debate: "This house believes that medical students in 'developing' countries are better trained than those in 'developed' countries to become surgical pioneers of the 21st century". Unfortunately, I wasn't there for the debate but I am delighted that the topic was chosen. As the world becomes more populated and health resources are stretched thinner and thinner, the role of surgery in the management of developing world health problems has received increasing attention. One of the videos shown at the conference was provided by ICES (International Collaboration for Essential Surgery) and can be viewed online: www.therighttoheal.org. Surgery must be made more accessible and be seen as a possible primary health intervention. 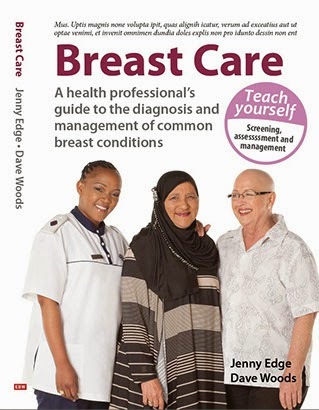 For the Breast Course for Nurses, the high point came when when we were given a cheque for R30,000. This money came from the students attending the conference. Those who know me will attest that I am rarely lost for words but it took my breath away when we were given such a generous donation. Once again: well done and THANK YOU to all who were part of IASSS. Please follow our progress so you know how your money is being used.